Great Animal Trait LLC Review by Kim Fiscus | My kids loved reading Pepper the Parrotfish! 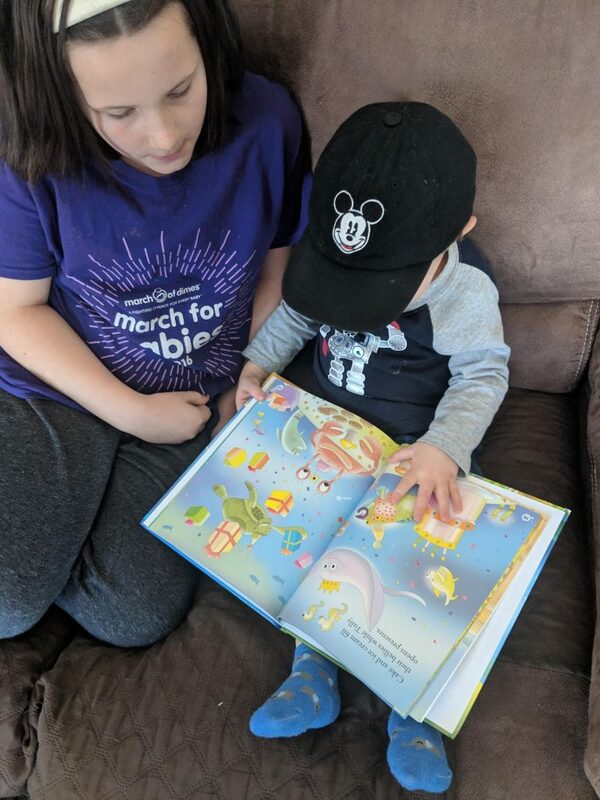 Tired of reading the same book every night to your kiddo? Surprise your little one with Pepper The Parrotfish! This educational picture book for ages 3-8 delights children and parents as they learn what makes the parrotfish a special part of our planet. All 4 of my children read this book. I read it first and then watched their faces as they worked their way through the book. Truthfully, I wanted to see their reaction to the story as they continued through to the end. After they were done, they looked up at me and didn’t say a word. They just smiled. We had a discussion about how the fish changed the world and they even got into a conversation about how they can just be themselves and improve the world too. I love how this book got them to enjoy reading, enjoy learning about marine life and also spark a discussion to better themselves and the planet around them. I highly recommend purchasing this book for your children or your children’s teachers/library. I’m excited to continue reading the Great Animal Trait children’s book series. This was only the first book in the series. Each story features a lovable character who reveals a unique animal fact. The story educates children while encouraging them to share what makes them special in our world. I can’t wait to see the rest of the books! 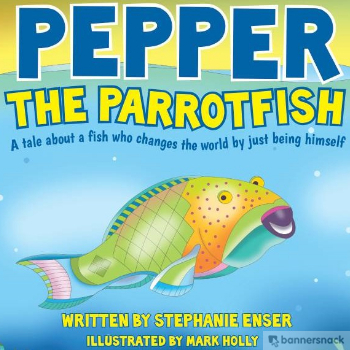 SAVE $5 on the Best Children’ Book, Pepper the Parrotfish for ages 3-8! – Pepper The Parrotfish is swimming to your door with $5 OFF deal! Remember, a portion of the proceeds benefits the marine conservation!